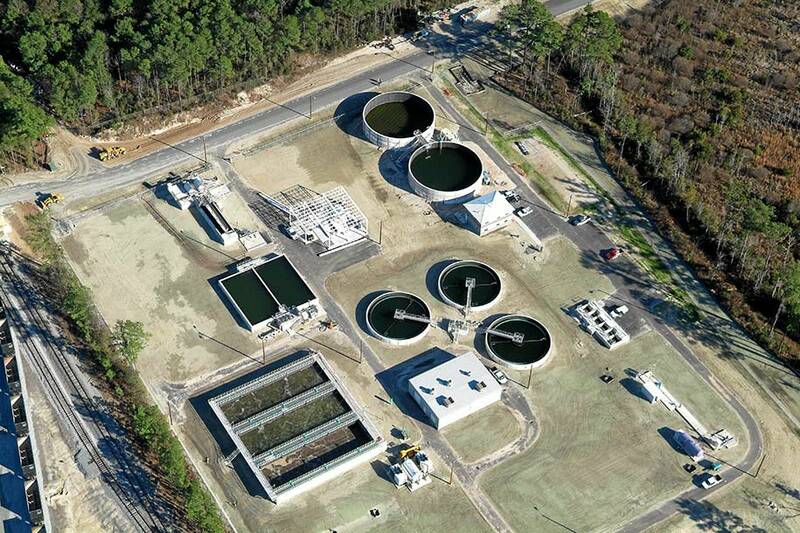 Phase I of the project consisted of designing a new 3.0 MGD activated sludge wastewater treatment facility including influent screens, grit removal, equalization, aeration basins, secondary clarifiers, effluent disk filters and UV disinfection. The plant is also equipped with aerobic digestion, belt filter press and truck loading building, plant water system, MCC building, control building and standby power generation. It is provisioned for a future build-out capacity of 6-10 MGD. In preparation for the plant design, in 2004, Hussey Gay Bell also spearheaded the Environmental Review and Planning Document which consisted of preparation of the Environmental Review and Planning Document required to apply for a State Revolving Fund loan for the project. The Environmental Review and Planning Document included build-out growth projections, evaluation of wastewater treatment alternatives, cost analysis and final recommendations. Hussey Gay Bell’s role in the project consisted of providing Alternative Technology Evaluation, Antidegradation Analysis, Environmental Information Document, Design Development Report, Watershed Assessment, Discharge Permit Application Preparation, Preliminary & Final Design, Bid & Construction Phase Services, O&M Manual Preparation, and Start-Up and Training Services. The construction of the new plant was completed in 2008. In preparation for the design and construction of a new treatment plant for the City, in 2005, Hussey Gay Bell was engaged to develop a master plan for the Crossroads WQCP service area in anticipation of diverting flow to the new 3.0 MGD wastewater treatment plant (including 6.0 MGD build-out flows). 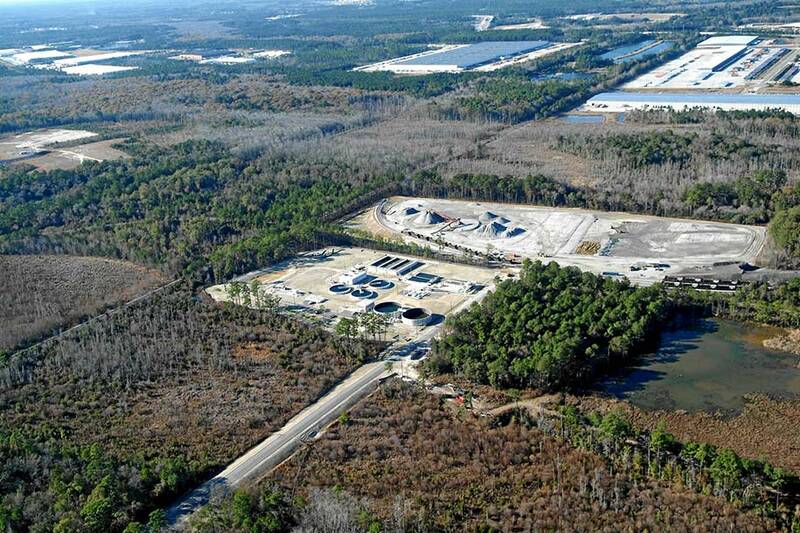 As a result of the master plan, the decommissioning of an existing 1.0 MGD wastewater treatment plant and flow diversion to the new Crossroads 3.0 MGD wastewater treatment plant was designed and constructed.